.90 - For Trucks with Moderate Tuning and Performance Injectors. 1.00 - Aggressive Tuning or Performance Injectors. 1.10 - Aggressive Tuning and Performance Injectors. Note: final part # depends upon which turbo option is chosen to the right. 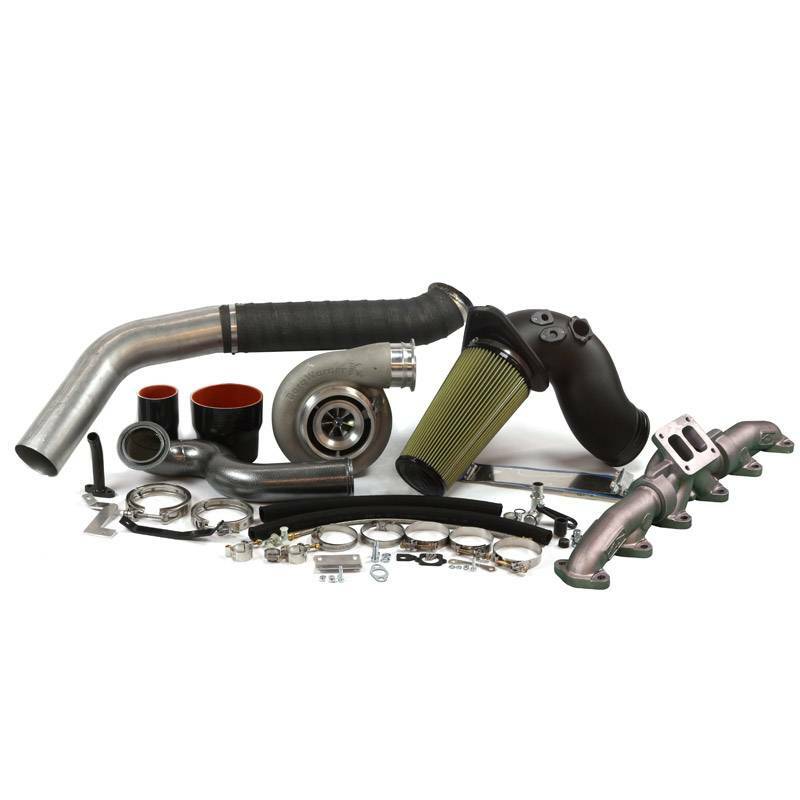 If you are unsure of your exact engine year or just need a turbo recommendation, please give us a call on our toll free number and ask our parts department! Please select your trucks year range and desired housing option from the drop-down list. The Industrial Injection S475 Cummins 6.7L 2nd Gen Turbo Swap Kit is a great kit for someone looking for all out performance but still wants a drivable street/track vehicle. This is a complete kit that comes with everything needed for a nice clean install. 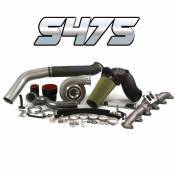 Injector upgrades are required to help increase spool up and performance with this kit.